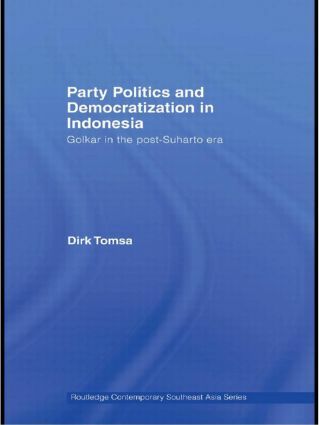 Party Politics and Democratization in Indonesia: Golkar in the Post-Suharto Era provides the first in-depth analysis of contemporary Indonesian party politics and the first systematic explanation why Golkar is still the strongest party in Indonesia. As an empirical study on Golkar, and Indonesia's other major political parties, this book will be of huge interest to students and scholars of Southeast Asian politics, political parties and elections and democratization. Gauging uneven party institutionalization: How strong are the others?